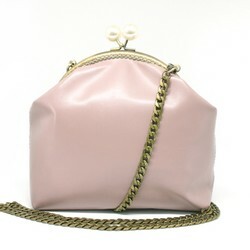 Classic style clasp bag with two different looks, and pearl-liked decoration. 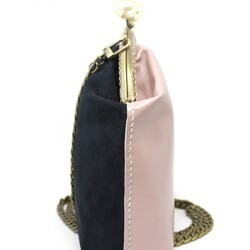 TWO LOOKS - Nappa leather with dust pink / Nubuck leather with classic navy. Assort with bronze metal, removable chain. The bag is easy to fit any of your outfits. 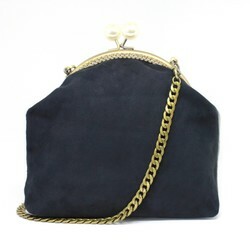 Perfect size to hold your wallet, phone and small personal belongings. Find back the elegance of 1920s with Doppio!